David Whyte is a professor and poet who believes that the courageous conversation is the one that we don’t want to have. It’s the one that we hope isn’t true and that we could have another one instead. This is one of those conversations. I’ve been a broadcaster and journalist most of my working life. I’ve sat in many chairs at radio and television stations in the United States and Canada, as well as apprenticed with a few century-old newspaper groups, the Los Angeles Times and the Toronto Star. I have witnessed the Cold War in Turkey, the not so cold war in Viet Nam, the Gulf War, the Watts Riots, Front de libération du Québec (FLQ) protests, “love-ins” with John and Yoko, Standing Rock, and now Kinder Morgan. These moments in history didn’t last long and will likely not come again as they are eclipsed by our changing world. They have helped shape my curiosity and passion for developing communication platforms and programming that matters, that share the stories of our community, and that help bring our world a little closer. A television application for “Hometown Television” with Eric Rothschild failed in front of the regulator because they didn’t think a one-hundred-year-old newspaper group like the Toronto Star had the chops to establish a three-market, community-focused, multi-platform television and internet experiment. 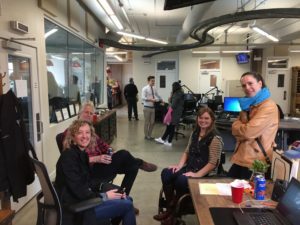 Fifteen years later around a table in the Alibi Room, three of us came up with a simpler, perhaps more elegant radio application that won the hearts of the regulator as well as the Vancouver community, and Roundhouse Radio went on the air October 15th, 2015. A commercial radio station with a community focus that to date has shared over ten thousand interviews and stories from the residents of this magical city. All twenty plus neighbourhoods, artists, chefs, fire eaters, professors, politicians, comedians, not for profits, musicians, a few animals, and regular people doing amazing things. Thirty months later, the most difficult day of my career arrived when I announced to our staff that all of us were being given working notice to the end of the month. While we may have achieved our programming objectives of reaching our community, the commercial support needed to allow these voices and stories to be heard fell millions of dollars short of what was required. The families and investors who initially saw promise were exhausted. The days that followed were like those of any terminal diagnosis. Similar to the death spiral of a loved one all twenty-seven of us rode this wave of grief as we tried to make sense of our successes and failures. Elizabeth Kubler Ross provided the guide as we wept, embraced and shared our stories, committed to completing our final days as honourably and professionally as possible. Our goal was to create the most memorable and meaningful programming that we could in our final hours. As our staff meeting ended our final notices were handed out, those not present, staff and part-time hosts near and afar, received theirs via my phone call or email. Our resident journalist and geography professor Minelle Mahtani read hers while landing returning from a conference in Rome. Award-winning chef Nathan Fong read his at a sustainability conference in Hong Kong. 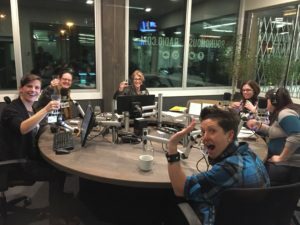 Terry David Mulligan was at a campus radio fundraiser for CKUA at the University of Alberta and Jenn Smith was in Toronto looking for investors. The word was out. “Did you hear that Roundhouse Radio was going out of business” read the first tweet. Followed by a heartfelt recounting from our afternoon hosts (Janice and Cory) which brought on a groundswell of media attention from Vancouver is Awesome, Business In Vancouver, The Globe and Mail, The Courier, The National Observer, Vancouver Sun, FYI Music, and many others. They were warm, compassionate stories that spoke to the need for independent media and the need of these diverse stories from our community. They spoke to the work of our staff helping to bring our City closer and about the impact they have. They asked for help on our behalf, to find an angel investor that would be willing to assist us, extending our runway to allow the station more time to get known and establish a financial model to fund its mission. The community and the country rallied as the story reached across Canada. Thousands of social media posts and emails wrote accolade’s and shared their sadness. Thousands of people reached out with ideas and offered to help. Hundreds came to our studios in Vancouver’s East End to ask how they could help, or share with our staff what their work meant to them. A few reviewed financial packages considering how to be in the radio business. Would someone reach out while Gene, Jody, Cory, Kirk, Jim, Muli and our amazing team boldly carried on? I’ve listened to many experts talk about what they thought we should have done differently, what we needed more or less of. Comments ranged from technical issues suggesting the need for more power to reach all of the Greater Vancouver Area. That we aired too much talk and not enough music. All conditions of license that allowed for a low power FM radio station to find a unique place in the City. Other comments spoke to the content being too narrow and allowing too much time to those other things that allowed us to reach deeper, asking beautiful questions of each other. Perhaps we just ran out of runway as Bruce Allen suggests. In five decades of building media platforms whether AM, FM, digital, audio or video, I have never shut one of them down, so this is new. We will go “dark” which is an industry term for going off the air. Our staff didn’t win the lottery that would save us. There will be no last-minute tug as someone pulls us back from this abyss to keep on keeping on. 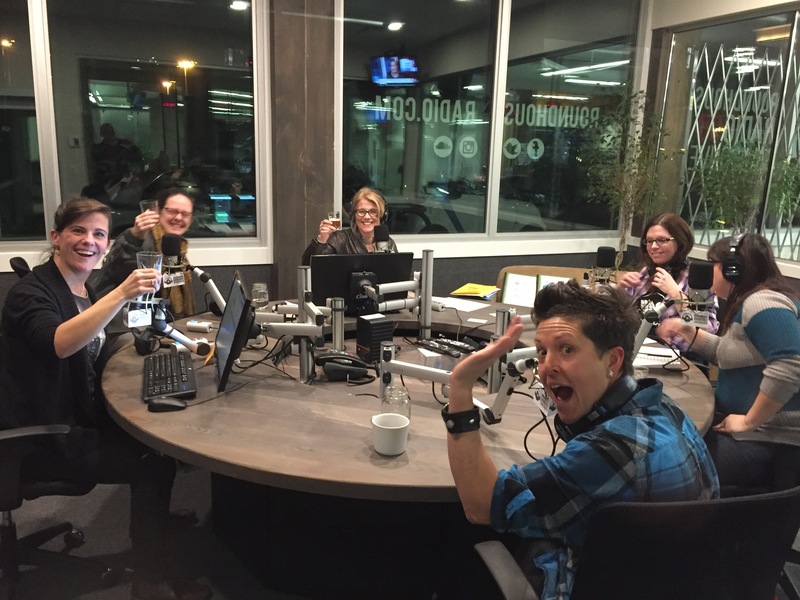 A new buyer will wait for CRTC approval and then try their hand at local radio. Perhaps something different? As I read my email, the heartfelt responses from friends and colleagues and the continuing support from other media, I am humbled and touched by the impact our team past and present has had in such a short period of time? They brought our station and our city alive and put their heart and soul into its mission. The passion that they brought to this work reminds me that there is a greater need for independent journalism on all platforms large and small. That we need those places that allow for spacious conversations, where all points of view are welcomed, and dialogue encouraged. Somehow, I am confident these voices will be heard if we listen closely for them. Sunday May 6th at 6 pm PST we will end where we began with a magical mashup produced by John Masecar, Dave Dhillon and Amanda Boland. It’s admittedly long, with voices from the City and from around the world. If you like great radio production it’s worth hearing, maybe even saving. 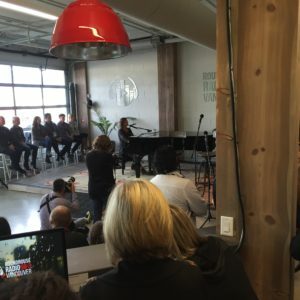 It begins and ends with the first song ever played at our Roundhouse and Tracey’s fave, Angel by Sarah McLachlan who was very much “live” in our studios. 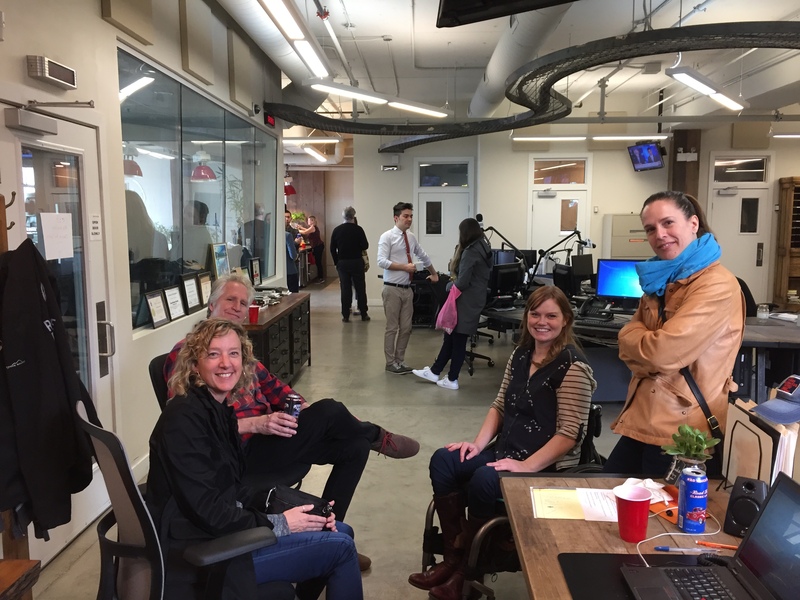 It was an aspirational piece in 2015 when we went on the air and online. You can decide if we lived up to our ambition of giving everyone in our City a voice. It’s been an amazing opportunity. These past few weeks could become a book, perhaps a course somewhere. I have learned so much from you that words often fail me as I begin to dig a little deeper into these difficult conversations. Heartfelt thanks for being with us.